Bringing you the best of Swedish Design and Ingenuity. Unique insulation allows the heat inside to rise above 160 degrees. 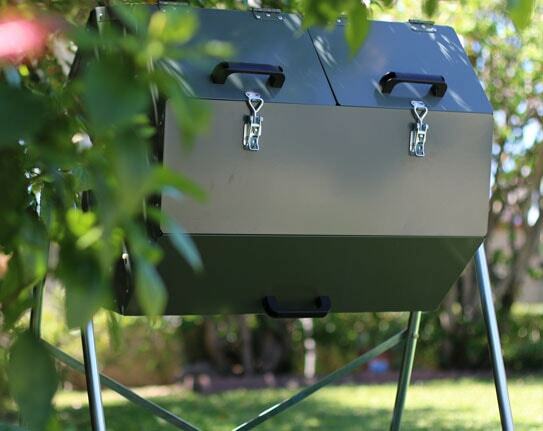 Composter has two chambers, each with their own lid. Made from galvanized steel to be more durable and longer lasting. As you compost, rotating the tumbler is necessary for the best results. When the fresh waste is introduced and brought into direct contact with the waste that is already decaying, it increases the efficiency of the process by allowing the waste to break down more quickly. The center axel allows the Jora Composter to easily turn the tumbler by using the gravity or weight of the waste/compost in the tumbler as it turns. You simply turn the composter tumbler by hand when introducing waste. The Jora Compost Tumbler was designed with a tall stand, which allows you to fill the tumbler easily without bending down. It is just as easy to empty, which is done by placing a wheel barrel or another container beneath it. The composting process generates heat from the microorganisms interacting to break down the waste material inside the compost tumbler. The ability to contain heat means more interaction among microorganisms and therefore more heat, which amounts to faster, more efficient composting. The heavy-duty insulation inside the Jora compost tumbler allows for a high internal temperature, facilitating the interaction of more microorganisms, bringing the temperature above 160 degrees Fahrenheit. This ability results in the quickest and most efficient composting experience possible. Because the heat being generated is derived from the microorganisms working together to break down the waste, and not from the temperature outside or the sun, the location you’re in is not a factor. Because of the unique type of insulation built into the Jora Compost Tumbler, which is an integral part of the design, you are able to compost through the cold temperatures of winter, long after other composters have stopped working. 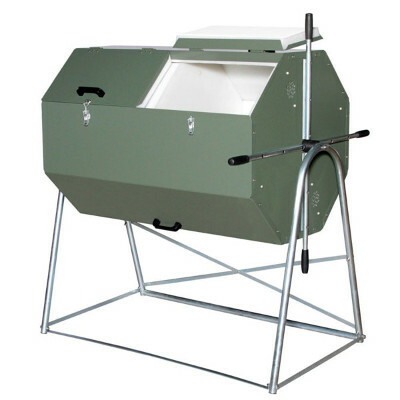 The Jora Compost Tumbler has two separate chambers. 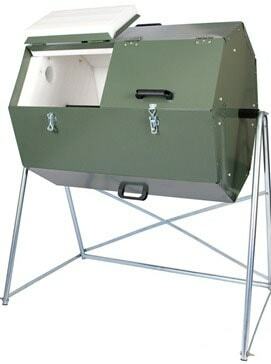 This allows you to fill one chamber while the compost in the other chamber matures. Once the chamber being filled cannot hold any more, the mature compost in the other chamber can be emptied and the cycle can begin again. Looking at the photo you can see that it is time to begin filling the chamber on the right while the chamber on the left continues composting to maturity. When the chamber on the right is filled to capacity, it is time to empty the chamber on the left, which will provide you with excellent fertilizer for your garden. 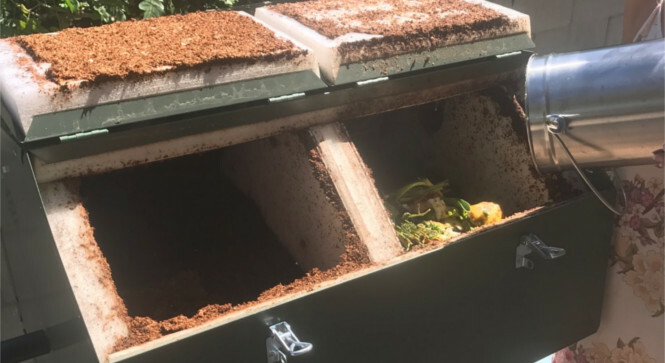 The Jora composters are designed so they are off the ground, making it impossible for rodents or other pests to gain access to the waste inside. The Compost Tumbler itself has tight fitting latches to secure the waste/compost. There is even a ring provided to allow you to place a padlock on it if you wish. 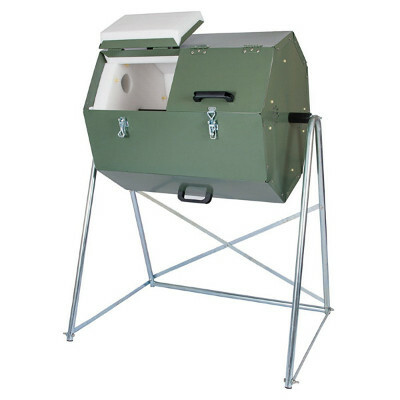 The Jora Compost Tumbler is built with galvanized steel panels, which are powder coated to last for years. The stand is also made of galvanized steel and the insulation is made from polyethylene plastic, so all the parts are made to last for many years of use. 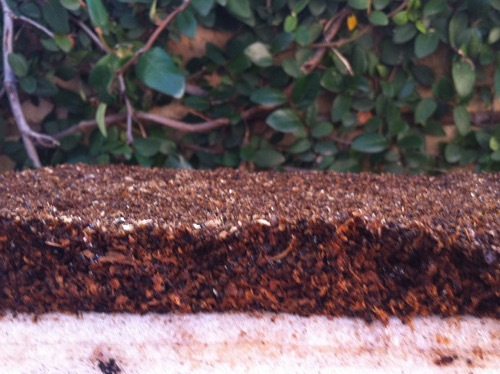 Incredibly well built,​ processes compost quickly within a month to six weeks, without all the mess and smell. Animals cannot access the compost. I am considering buying a second unit, because it’s so well constructed and my garden generates a lot of compostable material. 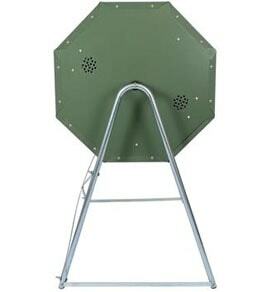 Suitable for: Smaller households ( 1-4 People depending household waste produced). Suitable for: Larger households ( 4 and more People, B&B, Small restaurants, kindergartens, care home etc. Suitable for: Larger households, Restaurants, Schools, Larger quantities of kitchen and garden waste. 01. Can I really Compost all my kitchen waste? Yes, you really can compost everything (although watery soups and stews should be drained first). 02. I want to use my cat's wood pellet litter, but doesn't it contain chemicals? There are plenty of 100% biodegradable cat litters on the market. These cat litters are available online or at pet supply stores and can be safely composted. 03. Is there anything else I can use apart from wood pellets or sawdust? 04. Can I use cardboard or shredded paper instead of wood pellets? 05. What about garden waste? Can I put this in the composter? Garden waste and any vegetation that is not hard like woody steams and branches can be easily composted. The harder steams and branches won’t have neough time in the composter to break down, even if shredded. Therefor we do not recommend that you put in wood chips instead of wood pellets or wasdust into the composter. 06. If I put garden weeds in, will it kill off the seeds? The only indestructible seed commonly found in gardens are tomato seeds. All other seeds will more than likely be destroyed by the heat generated in the composter. 07. Can I put my grass clipping in? Yes, but this is not recommended. If you have a large amount off grass clippings regularly being produced the composter will be filled to capacity in no time and not have much room for any kitchen waste. If this is the case you would want to select one of our larger compost tumblers like the JK 400 model. 08. How often do I turn the Compost Tumbler? Each time you add waste you turn it and that’s all you need to do. 09. 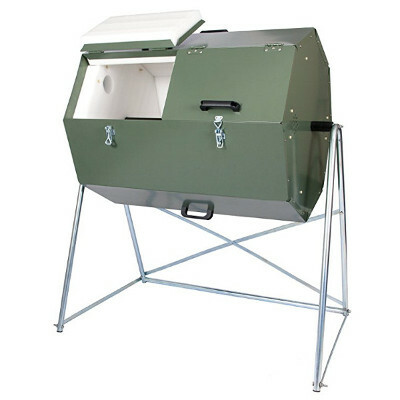 Does the composter need to sit on a firm base? Yes, most definitly. The legs need to be placed on planks, slabs or on a concrete floor otherwise when it fills up it could sink down into the soft ground. 10. Does the process produce liquid? Yes, it’s unavoidable that the composter will produce some liquid and The Jora Compost Tumbler is also not watertight. The wood pellets or sawdust regulates the amount of moister in the mixture. It is vital that you drain all kitchen waste of any liquid excess before you put it into the compost tumbler. 11. Can I compost bones? You can compost chicken carcasses, fish bones and other bones. Fish bones will thoroughly compost and disappear, but chicken and larger meat bones will be cleaned of any traces of meat and will not attract pests or vermin. Smaller chicken bones, like ribs will compost if they are in the composter for a sufficient amount of time.